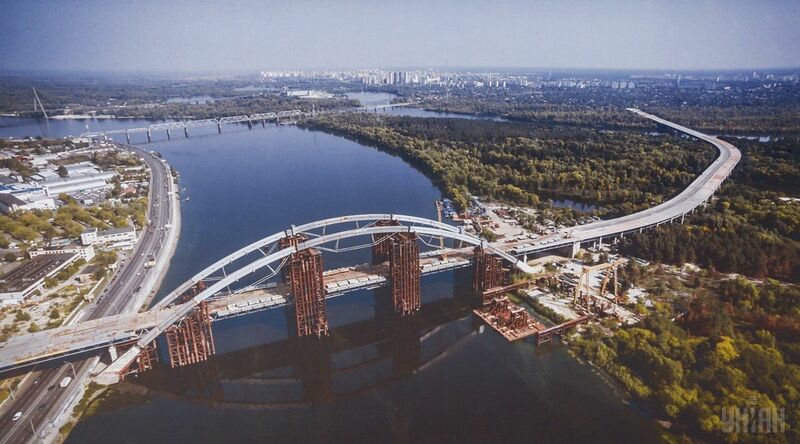 Kyiv Mayor Vitaliy Klichko, together with Germany's Federal Minister of Transport and Digital Infrastructure Alexander Dobrindt and the ministry's State Secretary Rainer Bomba examined the Podolsk-Voskresensk bridge crossing, the press service of the Kyiv City State Administration reports. "I am very happy that the German government delegation is here today. They came to Kyiv for a day to discuss options for the implementation of the project to complete the Podolsk-Voskresensk bridge crossing. This means that there is a great interest in this project," Klitschko said. "We have the spirit to implement this project and we use all opportunities to build this bridge and put it into operation in the coming years," said Klitschko. He noted that the German government had allocated EUR 200,000 to make an expert assessment of the project. Read alsoKyiv's Shuliavsky bridge collapse: Mayor Klitschko to sack city, district administration officials"Today, the expert assessment is ready and the German side will present it. As far as I know, the conclusions are positive and we expect that with the help of our German partners we will complete this bridge," the mayor said. He stressed that the bridges in Kyiv are overloaded, some by 130%, and the opening of the Podolsk-Voskresensk bridge will provide an opportunity to improve transport links, and then to complete the construction of a subway line to Troieschyna district, which has long been awaited by Kyiv residents.